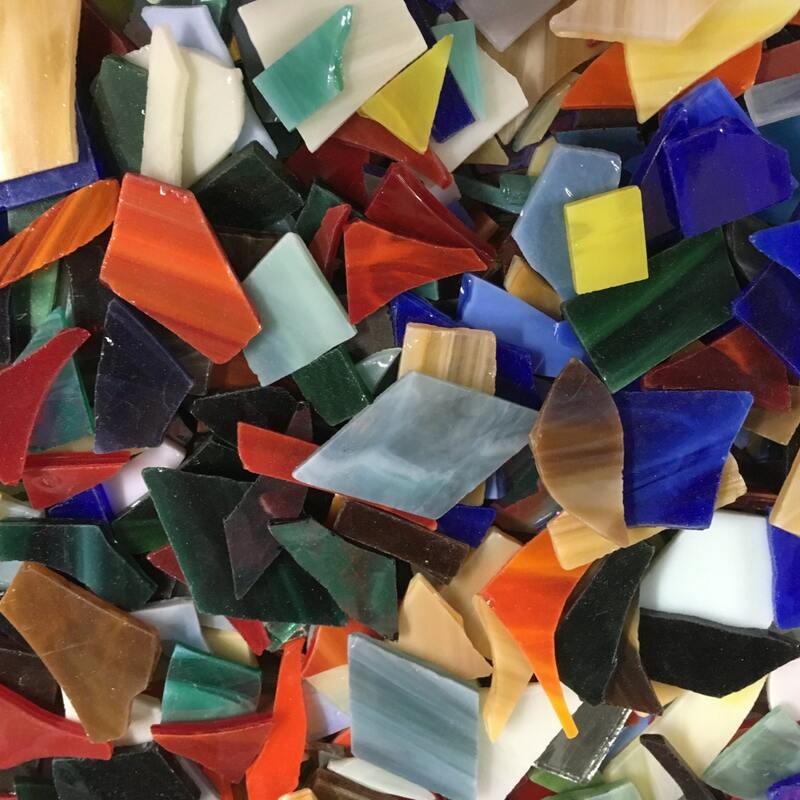 Stained glass chips with no sharp edges! 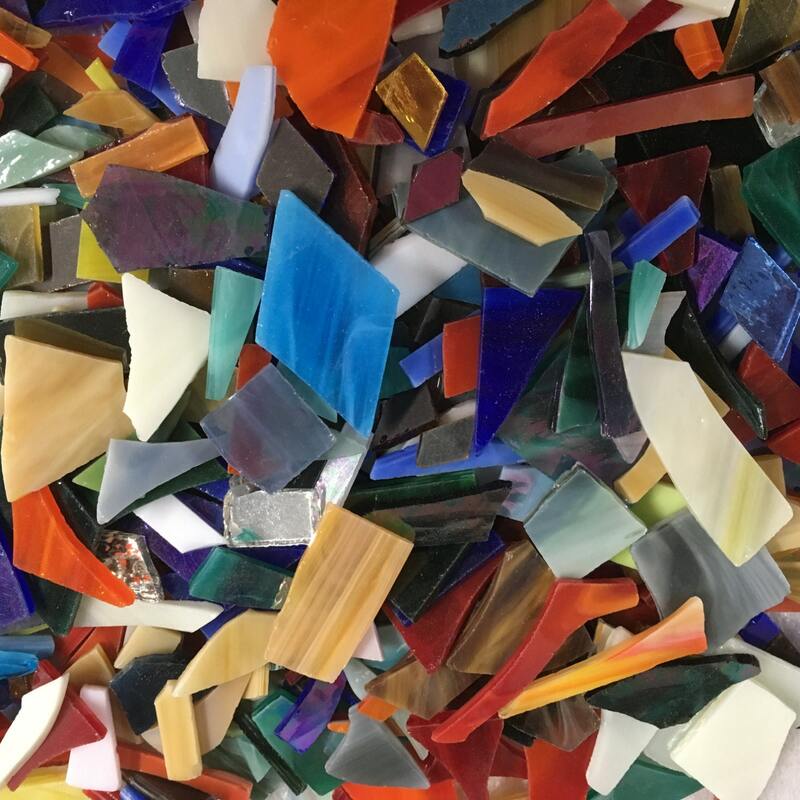 Tumbled glass is great for flower pot art, bird baths, picture frames, decorative mirrors, or any other project you can imagine! The tumbling process removes the sharp edges and creates a slight satin finish on the glass. 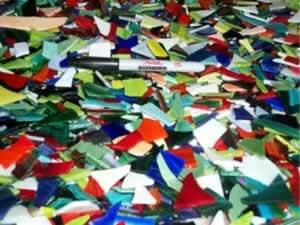 1 1/2 pounds of glass covers 1 square foot with no spaces, more with normal tile spacing. This glass is a byproduct of our stepping stone business. 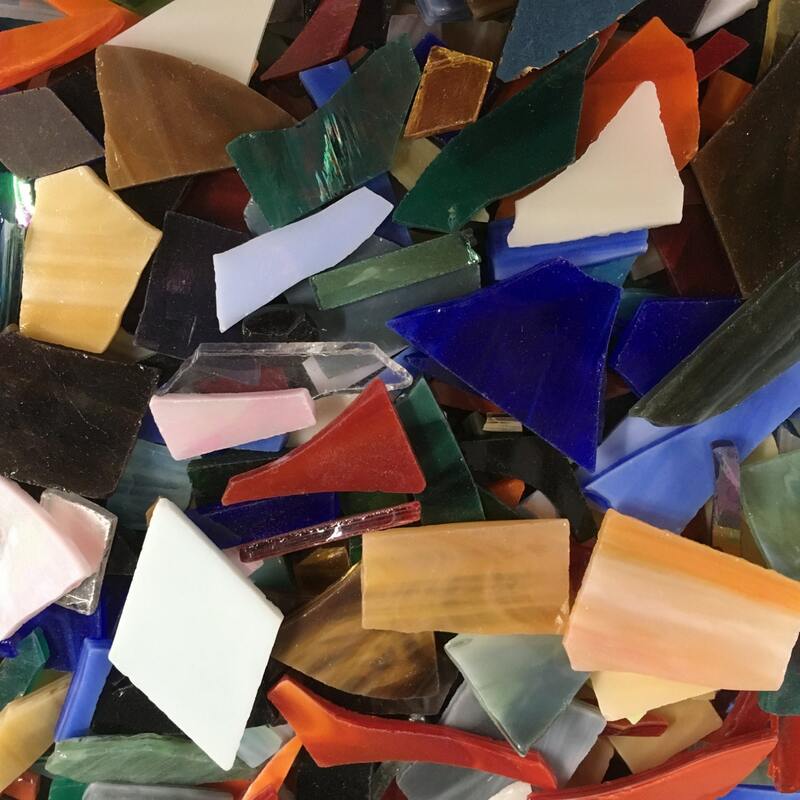 We nip the stained glass left over from our stepping stone designs into random shapes and sizes and tumble it with water and an abrasive to remove the sharp edges. There are still some points, but no really sharp edges. 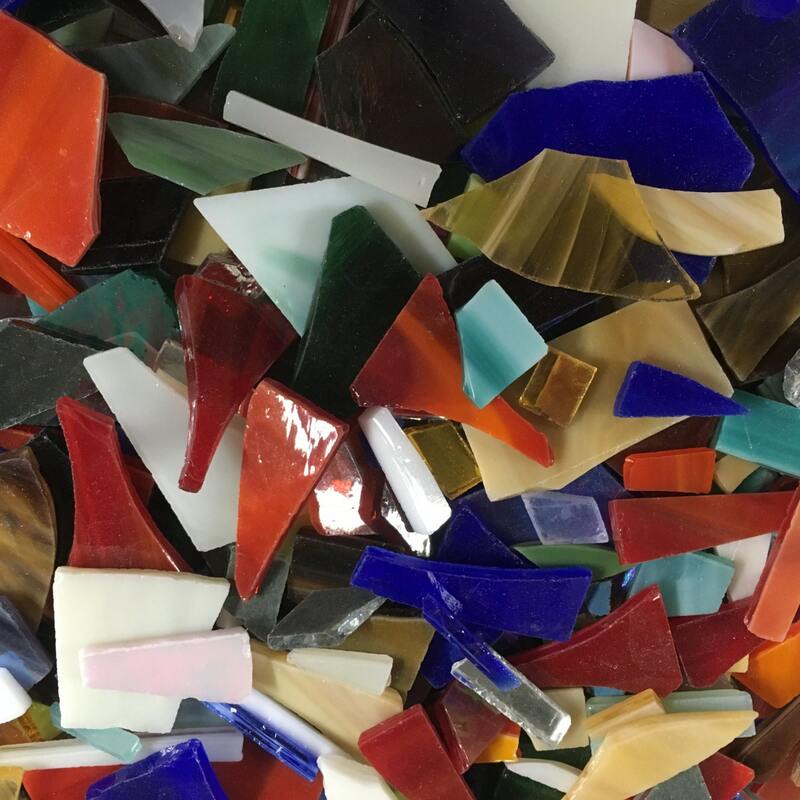 Kids enjoy working with tumbled glass, but they should be supervised. Perfect assortment, good variety of color and shapes. Will be making many pretty stained glass projects from these scraps. Beautiful variety of shapes and colors. So excited to start my mosaic. Great seller, fast shipping, perfect!